With a surgical shortening of the toe, an existing birth defect causing an overlap of the toes can be corrected. Why surgery, though? Excessive growth can have negative effects on the appearance of the foot. In most cases, the 2nd toe is affected (‘Greek foot’). Oftentimes, the neighbouring toes have also grown too long. The majority of patients is female. Anesthesia: local (with / without light sedation) or general anesthesia. Surgical duration: depending on how many toes are to be shortened. Hospitalization: depending on the extent, either outpatient or inpatient (2-3 days). Duration of wound healing: approx. 2 weeks. Resumption of professional activity: approx. 4 weeks after surgery. Excessive Length of the Toe: Why Surgery? There are many reasons why patients choose a surgical shortening of the toes. In many cases there are restrictions in everyday life, which lead to the decision. For example, women who are affected have problems wearing high heels. Therefore, the women in question might feel less attractive. Sometimes such a condition can also have an effect on the psyche and even cause depression. Also, toes can lead to avoiding certain activities, such as walking barefoot, wearing open shoes or swimming. Toes that are too long are by no means rare among the population. Far more women than men are suspected to suffer from this problem. Since hardly anyone talks about it, people come to the conclusion that their excessive toe length is unique. Which Operation Method Is the Right One? Cosmetic foot surgery provides a series of surgical techniques that help to achieve more vitality and a more appealing appearance of the feet. The decision which of the surgical techniques for the shortening of the toe is the most useful must always be decided individually. Wearing a special medical shoe, the gentle surgical procedures performed by foot surgeon Adem Erdogan allows the patient to walk and put the full load onto the foot right after surgery. Only slightly restricted mobility during the healing phase. 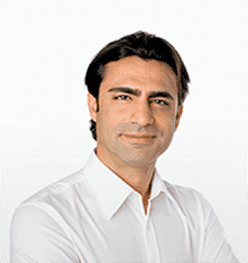 Adem Erdogan is among the leading foot surgeons in Germany. Long-standing experience, optimizing surgical procedures as well as detailed diagnostics contribute to an ever-increasing inflow of patients. Do you have questions concerning the treatment, possible risks and the costs? After a consultation and detailed investigation Adem Erdogan creates a treatment plan tailored to your personal needs. He will be happy to answer all your questions. Make an appointment now in our foot practice in Dusseldorf! You want to know, how other patients rated Adem Erdogan? Check his profile on jameda (only in German). What are the risks and complications of a toe shortening? An inflammation / infection of the wound occurring after the operation – in this case an antibiotic therapy would be necessary. Also wound or bone healing disorders (so-called ‘pseudo arthrosis’) can occur. In the worst case, a further operation would be necessary. However, the likelihood of these complications is rather low (1-3% of the cases operated) and depends on the type of complication. Do scars remain after surgery? Scars remain after every surgery. However, the surgeon is always anxious to make the scars as invisible as possible. Could it happen that I will never walk without pain again after the surgery? If, in the rare case, that the pain doesn’t go away after a surgical toe shortening (for example in the case of bone healing disorder), the patient can be treated with a follow-up surgery. Since this is hardly ever the case, the question can be generally answered with no. For how long do I have to skip sports after a shortcut? When running, and other activities that put additional pressure on the foot, can be started again depends on the individual course of the cure and can, therefore, vary a lot. However, 8 weeks without physical exercise after the surgery is recommended. Sports which do not strain the foot (for example swimming) can usually be continued after 4 weeks. Does my health insurance pay for the costs of an aesthetic toe shortening? As with any aesthetic procedure, a surgical shortening of the toes is being done for aesthetic reasons and is not covered by health insurances.